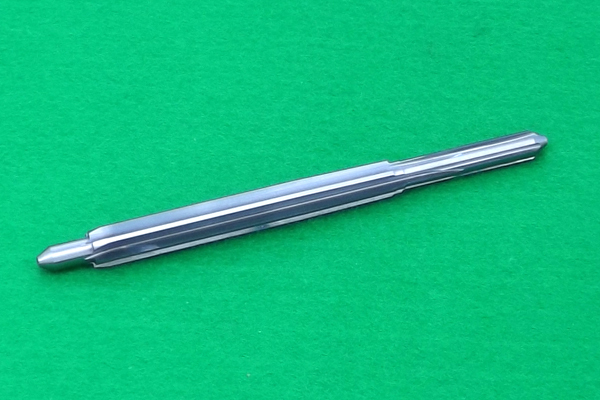 We have made a few large calibre bore reamers (for reaming rifle barrels to the bore diameter) before, but this is our first carbide production bore reamer. It required some investment in special tooling to enable us to make these bore reamers, with oil grooves fluted through the shank of the reamer. There is a lot of demand for good bore reamers from barrel makers around the world and this is our first step to meeting that demand. We are proud to announce that we are now successfully audited for the ISO 9001 standard for quality management. We have also been audited for ISO 14001 for environmental management and ISO 45001 for occupational health & safety management. This will give you confidence that we can supply you with reamers and gauges to the specification and quality that you need, when you need it. If you would like us to calibrate your old gauges to see if they are still within CIP or SAAMI then we can now offer than service. Here is something we have just made for a customer. 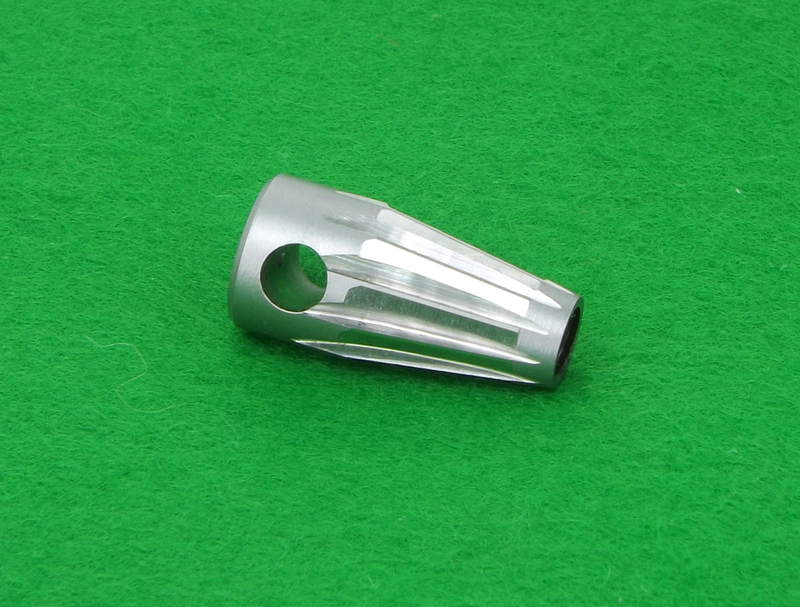 It is a forcing cone cutter for revolvers. The included angle is 18 degrees and there is an M6 thread at the 'sharp end' to attach the cutter to a driving bar. There is also a 5mm hole through the cutter for a tommy-bar. Price is £100.